A power of attorney is used to delegate legal authority to another person. The principal (the person granting the power of attorney) gives the agent, also known as the attorney-in-fact, the authority to make legal decisions on his/her behalf, including handling bank accounts, real estate, and other assets. The potential for fraud exists in every power of attorney arrangement, through self dealing, embezzlement, and unlawful gifting. In some situations, a power of attorney holder will significantly deplete an estate, leaving the heirs of the principal with little or no inheritance. 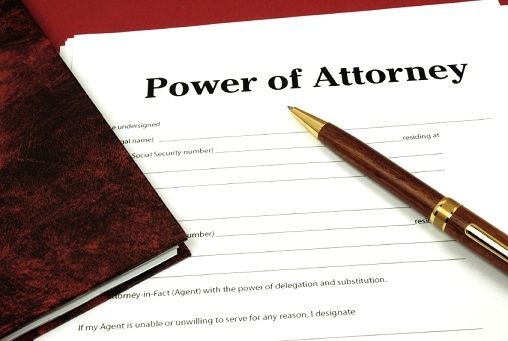 Other ways in which a power of attorney can be abused include changing beneficiary designations on life insurance or annuities, and opening bank accounts with joint title or pay on death provisions in favor of the agent. The creation of a power of attorney can be challenged under the grounds of lack of capacity or that the creation did not follow proper formalities. If a validly granted power of attorney has been abused by the agent, grounds may exist to sue the agent for the return of embezzled property or for monetary damages. If the principal is still living at the time of the action, the principal can sue the agent directly. In many situations, the power of attorney abuse is part of a broader pattern of elder abuse. If the principal has passed away by the time the power of attorney abuse has been discovered, the principal's estate or the intended beneficiaries of the property may be able to sue the agent for breach of fiduciary duty, tortious interference with estate planning, or a number of other causes of action. Due to the potential for abuse with a power of attorney, their use should be limited. Many persons creating a power of attorney will leave the instrument with the drafting attorney until the conditions triggering the activation of the power have been triggered, such as the incapacity of the principal.